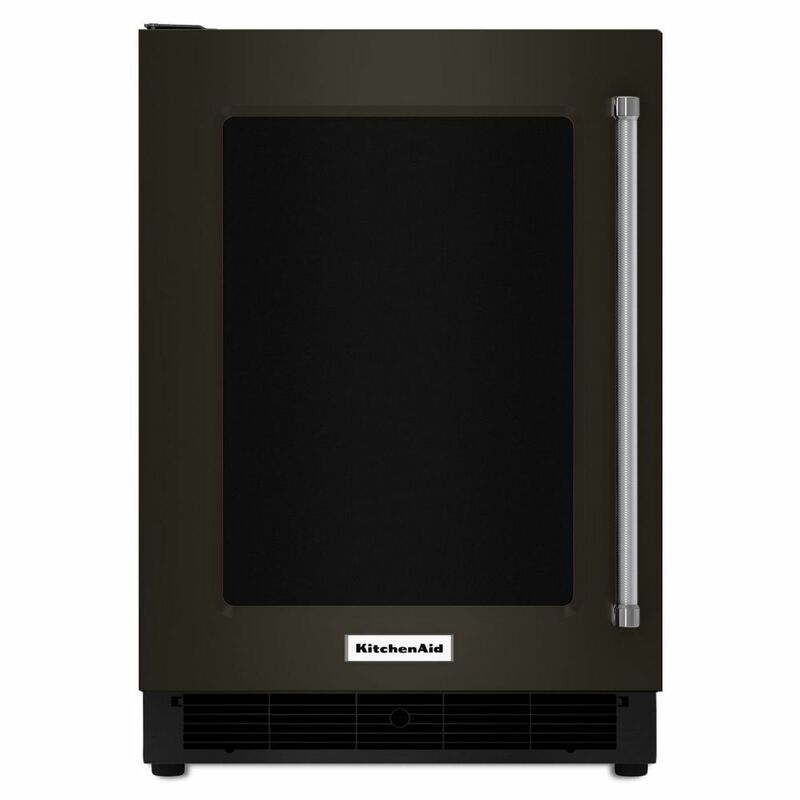 Black Stainless, 24 Inch Undercounter Refrigerator With Glass Door And Metal Trim Shelves is rated 3.5 out of 5 by 4. Rated 3 out of 5 by John from Shelves are not adjustable and only a couple of them.... Shelves are not adjustable and only a couple of them. The value for the cost is not there. Rated 1 out of 5 by Pentland71 from Non-adjustable Shelves / Weak Door Magnet We are very disappointed with this model as the non-adjustable shelves do not accommodate pop bottles or beer bottles. The only option is to remove a shelf which reduces the capacity of the fridge. Literally one of the shelves needs to be 1/2” lowered and this wouldn’t be an issue. Very poor design. Also... the door magnet is extremely weak and so if you close the door with a reasonable amount of force the door just pops open. Thankfully here is an alarm that alerts you when the door is left open, but a stronger magnet would be a better solution.